Thanks for nominating Retrovisor! A great birthday present on it’s third anniversary 🙂 I enjoyed visiting all my fellow nominees too! Congratulations to all of you. Thanks to you for sharing such interesting posts on your blog! I tried to wish your blog a happy birthday the other day, but the sapo.pt site crashed on me :(. I look forward to seeing your future “curiosités” ;). I just received the nomination for this award! I had to look up what this award was all about and that is how I found you. Just like the last commenter, I also felt as though it wasn’t really an award if the person had to choose 15 other blogs to give this award to. I don’t even know that many bloggers yet. I am going to have to go out and find them! lol I also felt as though this may be fun finding others who are interested in the same things as me! And it will definitely showcase what I blog about! My question to you… Is this award ONLY for WordPress Bloggers? Or can I venture out to other blogs? Is there a time frame when it is rude to not to keep this award going? I won’t be able to sit down and finalize this for about a week. Thank you for your input and congratulations on your award! 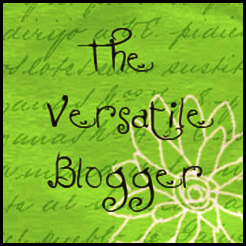 Hi there, and congratulations on “winning” the Versatile Blogger award ;). My understanding is that the award is simply a way for us bloggers to find out more about each other and create community in the blogosphere. It’s certainly not just for WordPress bloggers, and I don’t think you’ll be considered rude for not writing your own post until it suits you (although you may want to watch for falling pianos 😉 ). Enjoy!